Each individual below brings many years experience to the Academy and assists directly in the running of all our courses. Graduated from the University of Pennsylvania in 1967 with a Bachelors Degree in Electrical Engineering and was awarded a Thouron Scholarship to study in England at the University of Cambridge. There he became a member of St John's College undertaking research at the Cavendish Laboratory in the field of high intensity laser light interaction with solid state materials. He received his PhD in Physics in 1971. After three years in post-doctoral research at the University of Essex, he entered the shipping industry with Seatrade Publications where he held various senior management positions. John Doviak has been associated with education and training in the maritime field since 1978 when he founded and became the Director of Seatrade Academy, a company affiliated with the internationally recognised Seatrade Organisation. He joined Cambridge Academy of Transport as its Director at the end of 1985 and is responsible for the development of educational courses held in Cambridge and London, and for the Profiled Course activities held in many locations world-wide. He is a Member of the Propeller Club of the United States, a Fellow of the Cambridge Philosophical Society, an Associate Member of Sigma Xi Scientific Fellowship and a Member of the Baltic Exchange. 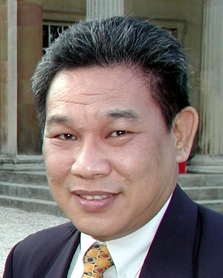 Keith Ghwee has over 30 years of experience in the maritime industry with expertise in commercial shipping, financial structuring of shipping assets and asset management. He's an ex-ship officer and possesses technical and operational knowledge of Bulkers, Tankers, Gas Carriers and Offshore shipping assets. He has held senior management position in Marine Surveying, Shipbroking, Ship Operating, Shipmanagement, Ship Owning and Ship Investment companies. He is actively involved in chartering, sale & purchase of vessels and structuring finance for the acquisition of ships for various owners and investors. He is a Fellow of Singapore Institute of Arbitrators, a Panelist on Singapore International Mediation Centre Panel of Technical Experts and a Member of Singapore Chamber of Maritime Arbitration. Manish follows in the wake of three generations of seafaring tradition in his family. He is a master mariner, an MBA from Cranfield School of Management, a member of the Singapore Chamber of Maritime Arbitration and a quality systems lead auditor. His maritime experience spans close to 20 years of which 10 years were at sea, sailing on ships of various dry, wet and multipurpose tonnage types. In his shore based management experience of 10 years, Manish has worked extensively in the shipping and associated industries, gaining expertise in the management of ships, maritime education, chartering and ship broking, ship finance, logistics businesses, dredging and marine infrastructure projects. Through his years in shore-based management, Manish has participated as a faculty member on a range of maritime industry as well as management training and development programs. In 2006 Manish took a sabbatical to pursue the highly regarded Cranfield MBA program in the UK, following which he resumed his maritime career by joining the executive team at V.Group, the world’s leading marine management services company and was thereafter based in London. 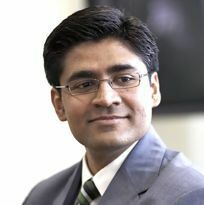 Manish led the Group’s Innovation function and focused on incremental value creation projects across the group. Subsequently Manish has had experience with the development of marine and offshore projects, including the provision of financial and commercial services for the maritime industry. In 2010 Manish relocated to Singapore and took up a regional mandate to develop V.Group’s businesses across the Asia region. In 2012, Manish founded Ideocean Group, a strategic advisory firm focusing on projects, management consulting, venture development and education in the marine, offshore, logistics and cruise industries. 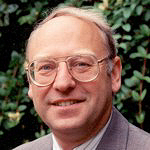 Dr Malcolm Willingale has worked in the shipping industry for over 35 years. Between 1990 and 2008 he held a number of senior management positions in the leading ship management and shipping services company, V.Ships, part of V.Group, including responsibility for setting up the group quality management system. 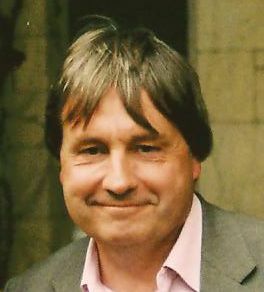 Prior to joining V.Ships, Malcolm was Editor of Lloyd’s Shipping Economist and was employed by London-based shipbrokers Lambert Brothers and freight forwarders, Thomas Meadows. He currently works as an independent consultant with Lloyd’s Register being one of his major clients where he is supporting the development of a group key accounts programme. He is a member of the advisory Board of the Seafarers International Research Centre and has represented InterManager at the IMO. Malcolm holds a PhD from the University of Southampton.